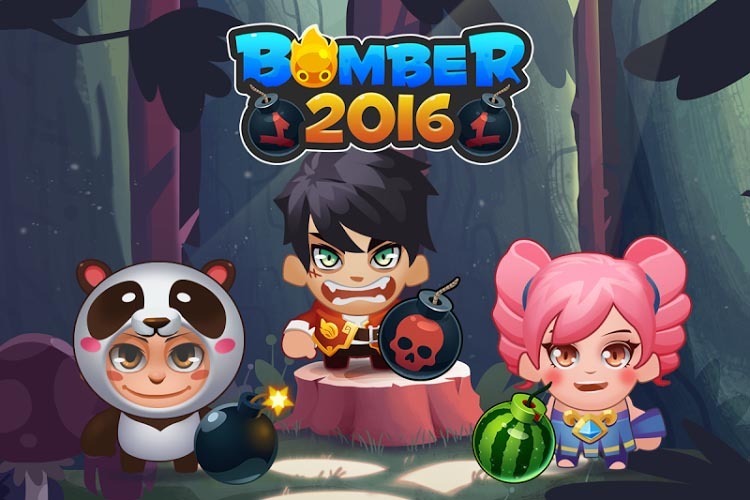 Bomber 2016 - Bomba game - is a free online multiplayer game with boldly tactical. You can move freely in a beautiful garden with a lot of deadly traps. Collect weapons and items to increase your power, to victory quickly. It's super cool. When you can use the bomb to blow your enemy in Bomber 2016. Moreover, you will have to against monsters and bloodthirsty ghosts with level will be increased in offline mode. - Touch and drag smoothly on any device, tablet. - Collect power-ups and items power up. - Use direction controller to move. - Touch """"Bomb"""" button to set the bomb. Escape from bombing area, wait to boom and destroy target. - Get items to increase your power to help you win quickly! - Kill or be killed." Bomber 2016 - Bomba game: install APK and play the game.